It’s 2018, and more than ever a large portion of who you are judged to be hinges on your credit score and how you behave financially. Things you could get by with before now come to light with the advent of a connected world and big data. Going by your past behavior, lenders can build a pretty accurate predictive model of your future activity. Now more than ever, maintaining positive credit behaviors and a decent credit score matter a great deal to your financial future. The reason is that we live in a credit based world, and many things you want to accomplish may depend more on your credit score than ever before. Not so long ago, houses were in foreclosure and many sat empty. While the implications of that housing crisis still plague many communities, others have a housing market that is tight. 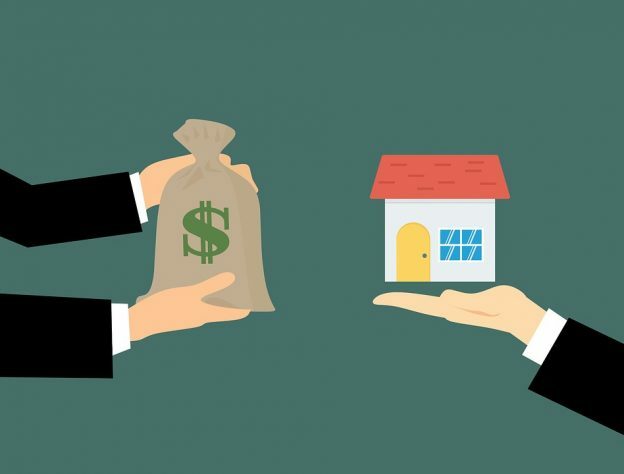 There are few vacancies, rental costs and purchase costs are both rising, and landlords and lenders can both be pretty picky about who they sign leases or grand mortgages too. One of the first criteria they look at is your credit score. Many places that do not look at these things are less than desirable places to live. Mortgages for those with bad credit which were briefly non-existent have made a comeback but come with higher interest rates or risky adjustable rate mortgages (ARM), the same ones that drove thousands of families into foreclosure and even bankruptcy not far in the past. Cars are only getting more expensive, and most families struggle to pay cash for the vehicle they need. Buying used, especially older used, is not always a great solution as the buyer tends to inherit someone else’s problems. A car payment, whether a lease or purchase payment, is often a necessity. The key here is that your credit score and income affect the kind of loan you can get and how much it costs you over time. Your interest rate will drastically impact the overall amount you will pay for your vehicle. It can also determine if you are even eligible for lower lease payments that might allow you to drive a newer vehicle with a warranty and little to no risk of surprise repairs. Want to start a small business? Much of the time business funding is largely dependent on your personal credit score. Part of the reason for this is the likelihood of bleeding risk: in other words your business might have a great record and a solid credit score, but if your score is less than perfect, the lender evaluates how likely it is that your credit risk could also impact your business. The smaller the business, the more likely it will be impacted by your personal credit score, and also the younger it is, the greater impact your score will have. Again, it may not be that you cannot get funding when you need it, but it may come at a higher cost. Interest rates, loan origination fees, and other costs will be higher the lower your credit score. The impact of this can go beyond long-term costs. As a business, you should only borrow what you can afford, and the increased costs can lower the amount of capital you gain from a loan. Indirectly, the quality of work or the product you offer can offer in the long run, impacting customer acquisition and retention. Even in the most perfect of worlds, things do go wrong from time to time, whether that is an unexpected car repair, a home repair, or a family emergency that requires travel. If you don’t have enough in your emergency savings, you may have to borrow money to cover these things. In some cases, this is not a bad idea anyway to help build your credit score. There are a couple of ways you can borrow emergency funding, and each comes with its own risks, but all of them are credit-score dependent. Home Equity Loans or lines of credit: This is a loan where you borrow against equity you might have in your home to meet financial needs, most often home related. Since this loan is secured, it is often not hard to qualify, but your interest may be credit score based, increasing the overall cost of the loan. Unsecured Personal Loans: Unsecured loans are solely based on your credit, and while you can get an unsecured loan even if you do not have perfect credit, the interest rate and terms may not be the most favorable. If you have a solid credit score, an unsecured personal loan will be much less painful. Credit Cards: This is another way to cover an emergency, but if you have a lower credit score, your limit will be lower, interest rates higher. Again, the terms may be the biggest issue in this case. Emergency funding is best satisfied by emergency savings, but when that is not possible, your credit score has an impact now more than ever. Believe it or not, when you are applying for a job, your credit score may matter to your prospective employer. It not only shows them how responsible you are, but it also indicates to them whether or not you will have future employment problems related to your personal finances. As a part of the application process, employers will often ask to pull your credit report and do a background check. Saying no almost always means you won’t get the job, but a poor credit history or unreported criminal activity can get you immediately disqualified. For some, as long as you are honest these things will not make a difference to whether or not you will get hired, but if you are found to be deceitful, you won’t continue in the hiring process. In the modern world, your credit score matters more than ever, and is much more accessible to employers, lenders, and more. Keep a good credit score and a solid credit history to protect yourself and maintain the financial flexibility you need. Fisher’s claim is that employers never have access to your credit report and while that is true, the point of the post is that more and more employers are asking for permission to run your credit. Just to be clear: credit bureaus do not share your credit score with employers. Even when they pull it, it’s an employment screening version and NOT the full version that you can see. They will ask. You must be aware that they may ask. Regarding Truth and Falsity: Mr. Fisher approached us, blindly asked for our personal information, contact numbers etc… and then was rude on the phone, even telling me to “Shut up” – so I hung up on him. Take that for what it is and I wish him well. Some of his stories on the site are interesting and accurately calling out the fake news in the mainstream press. — Brandon Jones, EIC The Dispatch.